Thanks for your help Jan. Seems something is definitely broken and the best solution may be to uninstall and re-install Roon Extension Manager. Otherwise you might rerun the Roon Extension Manager installer. You might also want to delete the RoonExtensions directory. Uninstalled roon-extension-harmony with no issues. 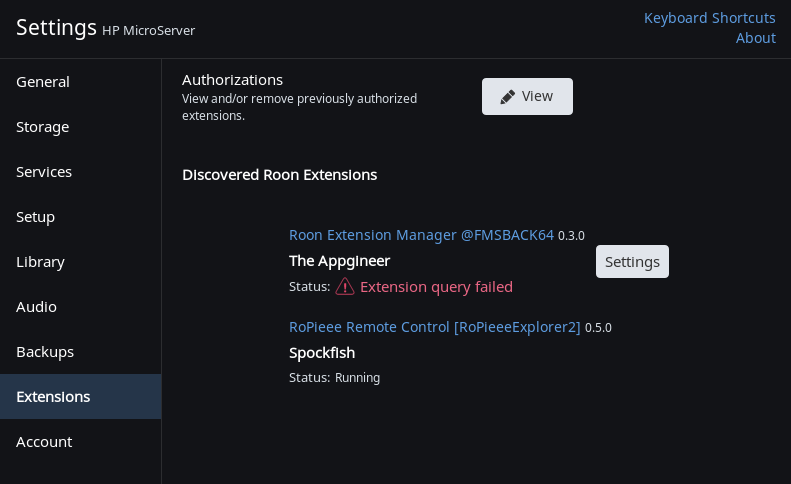 Still not possible to start the roon extension manager service. How to uninstall the full roon extension manager package and do a complete fresh re-install? See my previous post. You have to delete the service with administrator rights, i.e. 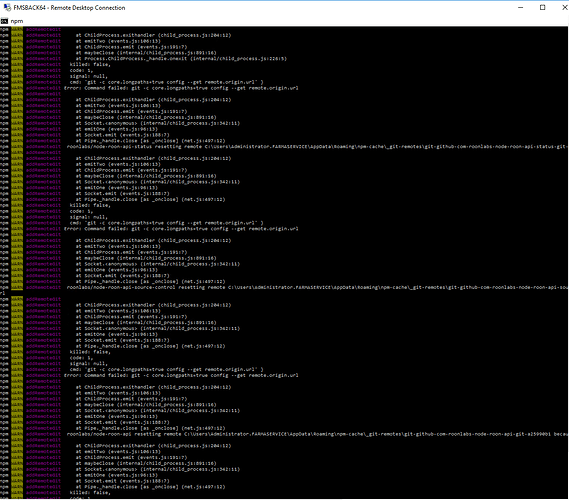 run a Command Prompt as administrator. I deleted the service and reinstalled. 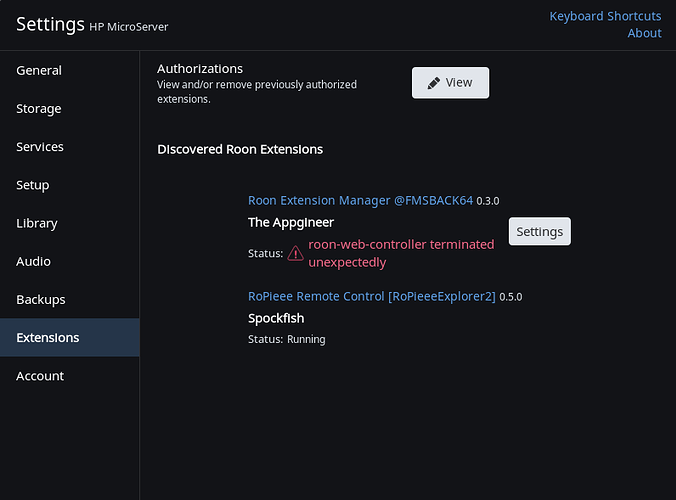 Roon Extension Manager and Web Controller are running fine again. I tried to reproduce the problem as reported by @Geoff_Coupe and @seagull without success, but based on the log files I think I found the issue. I just pushed a fix for it that will be pulled in on the next auto update of your Extension Manager. It should prevent a log file that grows into the MBytes range quickly and prevent corrupted installations of extensions. Please report back to me if the problem still occurs. 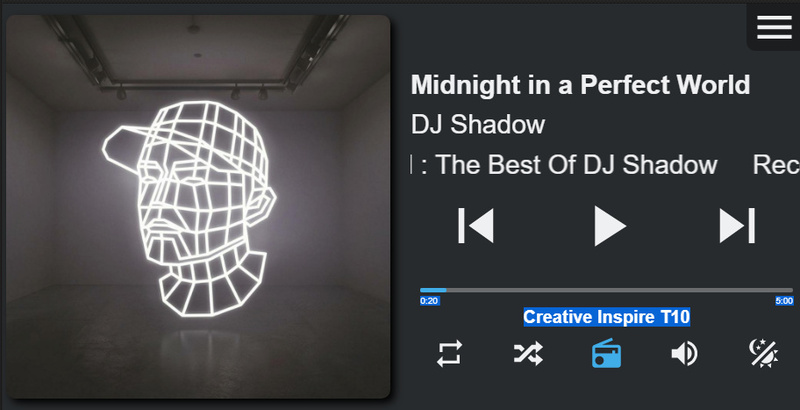 Tonight I found the the extension was not working anymore. Maybe because of the update. When I started the Web Controller again in settings it worked OK again. Edit: these are the non-audiophile desktop speakers from my PC in my office. The roon-extension-manager.log can be found here. It seems that the auto update function of the Extension Manager is causing problems if the Harmony extension is running. I’m looking into this but unfortunately I can not reproduce it (don’t have a Harmony Hub). I will have a look at your log file, it might give a hint. As a workaround, you can disable the auto update of the Extension Manager by clearing the update time field in the Settings screen. In your case you probably have to recover the installation first. OK Jan, I deleted Roon Extension Manager and I’m currently re-installing. I will not be enabling the Logitech Harmony extension util this has been resolved. I’m happy to test any changes though. 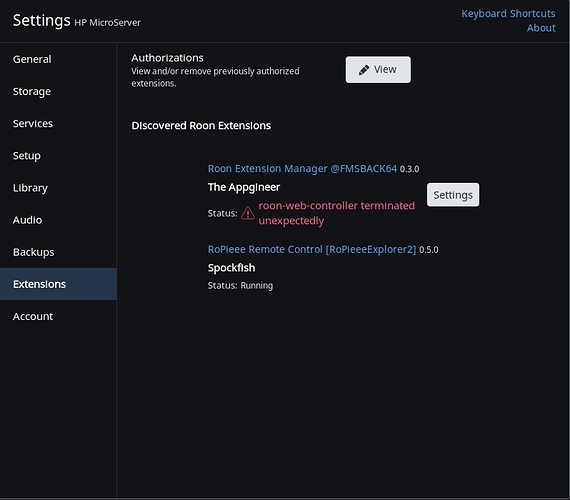 Edit 1: Roon Extension Manager and Web Controller are running again. Edit 2: Enabled the Logitech Harmony extension. Disabled auto update. @seagull, @CrystalGipsy, how is it going with the auto update disabled, are the extensions running stable? 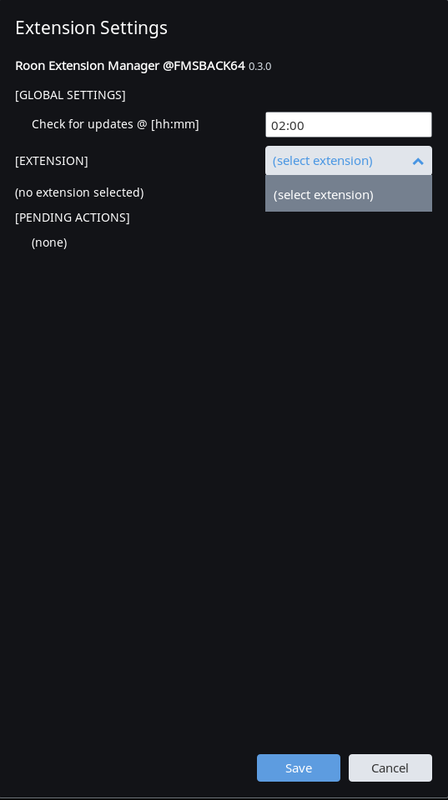 I especially would like to know if the harmony extensions remains listed in the Roon extension list. 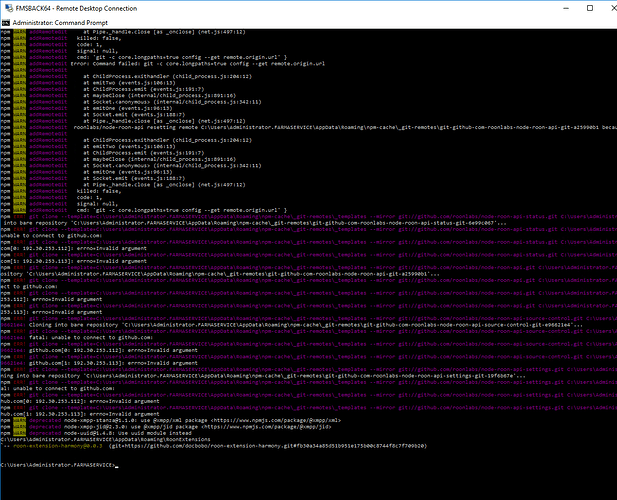 I can reproduce update and query errors, as occurring in the log file, by starting the harmony extension manually (outside the control of the manager) and then updating it via the manager. 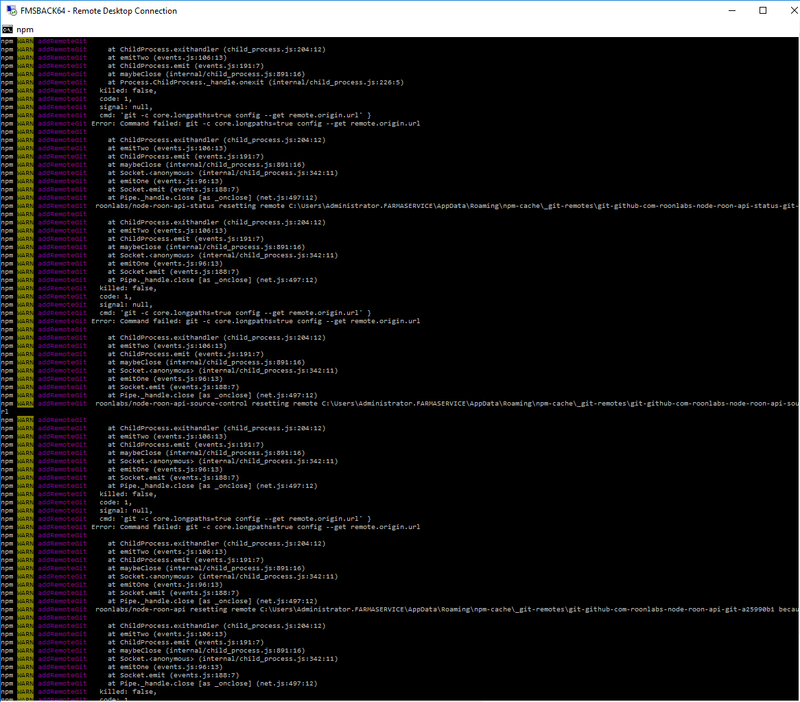 In this case an update is performed on a running extension, causing access errors on Windows (but not on Linux). Ones the manager detects an error it remains in an error state, it currently can’t recover. If this is what is happening in your case then somehow the extension manager loses control over the running extension. What I will do next is make the implementation more robust against errors and make sure that it can recover. The Roon Extension Manager seems to experience problems, even with auto update disabled. For a case like this I want to implement a restart of the extension. It looks like extensions are running less stable on Windows. Can you start the web controller from the manager again after it terminated? Mines been fine since turning off auto updates. Harmony still working as is Web controller. This update mainly contains under the hood changes to keep better control of the running extensions. These changes might help those who had issues with the auto update system. There is one new feature, an action is added to restart a running extension. For those who have auto update enabled, the changes will be pulled in the next time an update is performed. For those who have auto update disabled due to issues, the easiest way to update is to stop the running extensions and then set the auto update time 1 or 2 minutes in the future. The update should then be pulled in, after which the extensions can be started again. The auto update can be given another try by keeping the set update time. Please let me know how this works out.